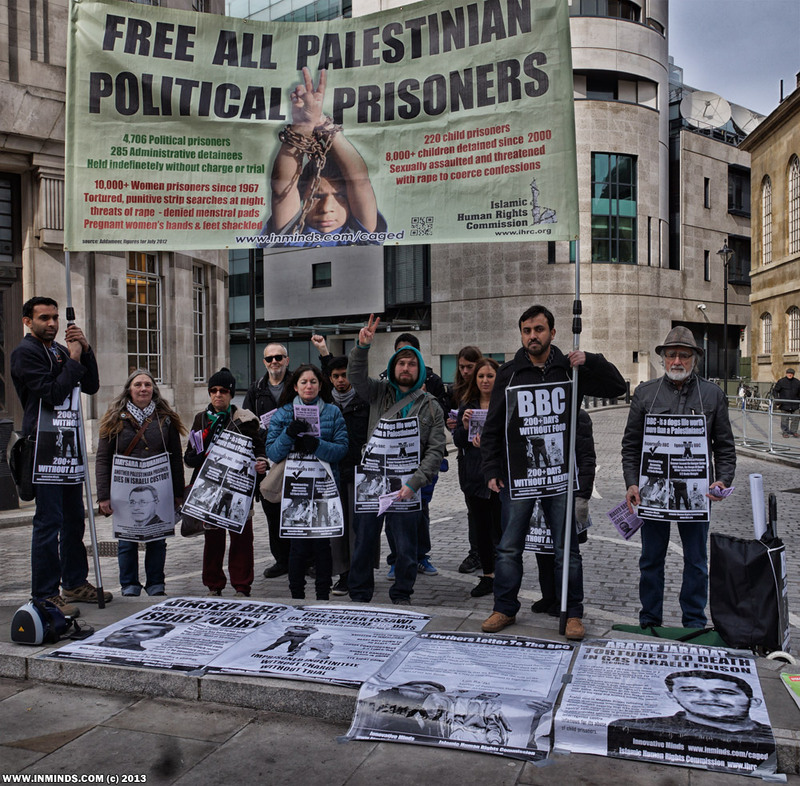 On Sunday 7th April 2013 around 20 human rights activists protested outside the BBC, Broadcasting House in Portland Place, demanding the BBC break its silence and lift the broadcasting blackout on covering the plight of Palestinian hunger strikers. 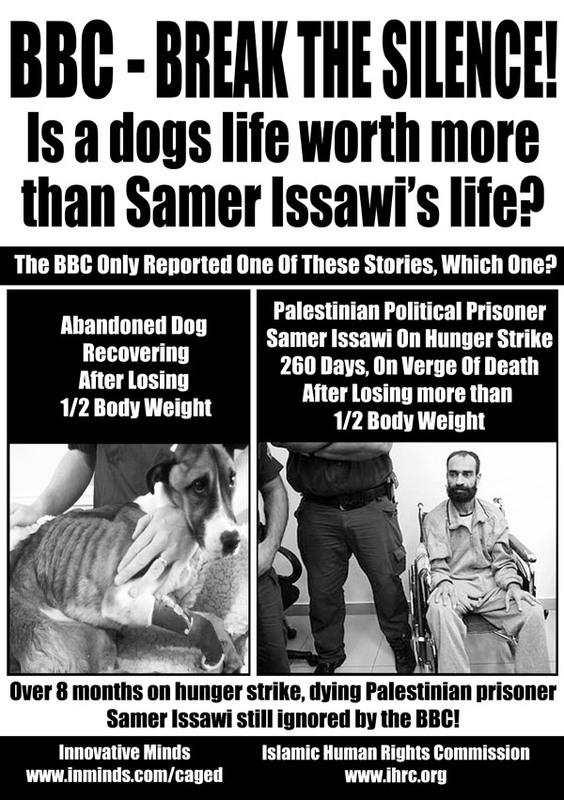 One of the hunger strikers - Samer Issawi is now on his 260th day of his hunger strike. Barely alive, a skeleton of a man weighing just 45kg he is struggling to breath on a ventilator with an average heart beat of just 24 beats per minute (a healthy persons average heart rate is over three times this). 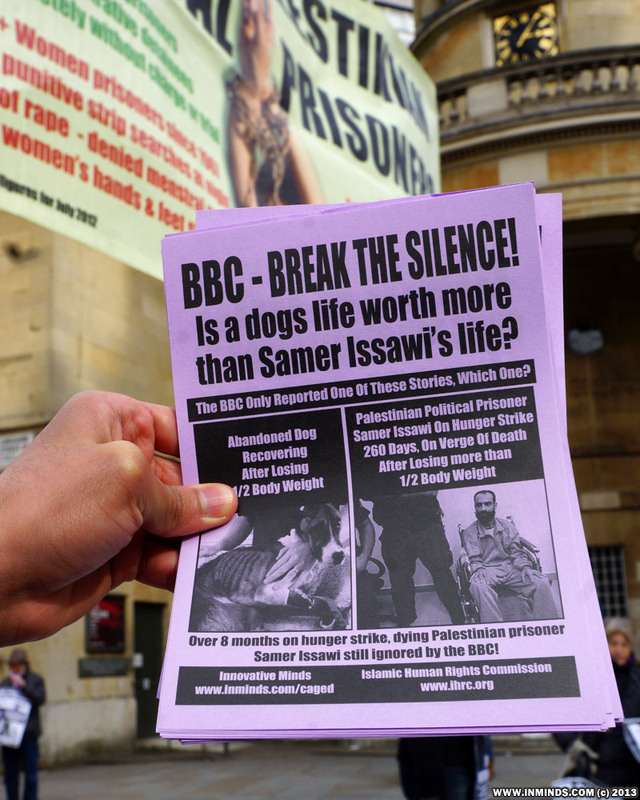 Yet despite his physical frailty Samer Issawi's spirit is unbreakable and he has recently reiterated: "I reaffirm for the thousandth time that I continue my hunger strike until either freedom and return to Jerusalem or martyrdom!" 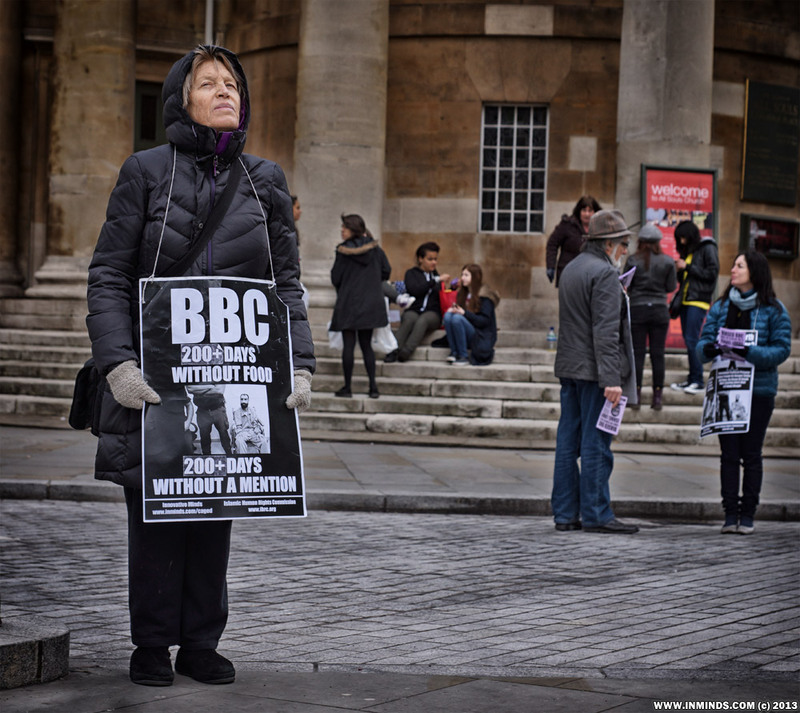 The protesters also questioned the BBC's claim to impartiality with its recent appointment of James Purnell to one of the most powerful positions in the BBC - that of Head of Strategy. James Purnell was the chairman of the Israel Lobby group Labour Friends of Israel for two consecutive years. The apartheid wall, which the International Court of Justice ruled ILLEGAL built on stolen Palestinian land, is described on record by James Purnell as "a doveish move which recognizes the legitimacy of two states". He also equated left wing criticism of Israel to antisemitism. 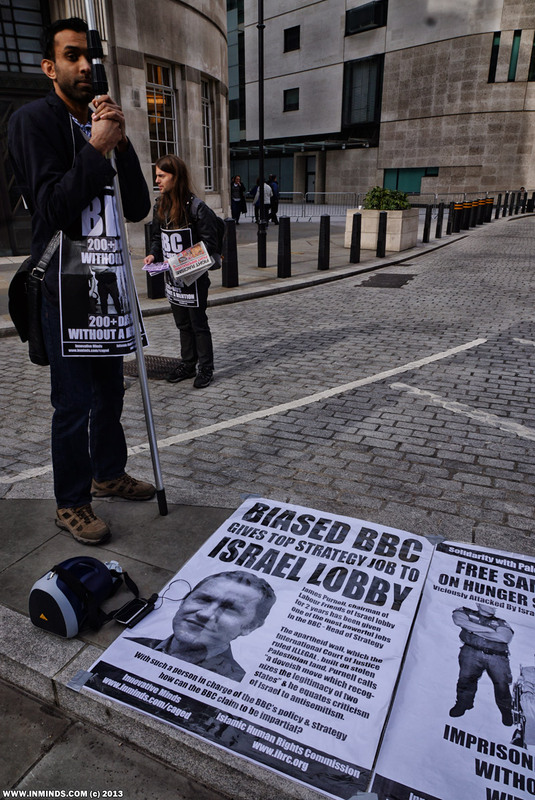 How can a person who rejects the findings of the International Court of Justice because it goes against Israel and then silences any criticism of Israel by accusations of antisemitism be given charge of BBC's policy and strategy? 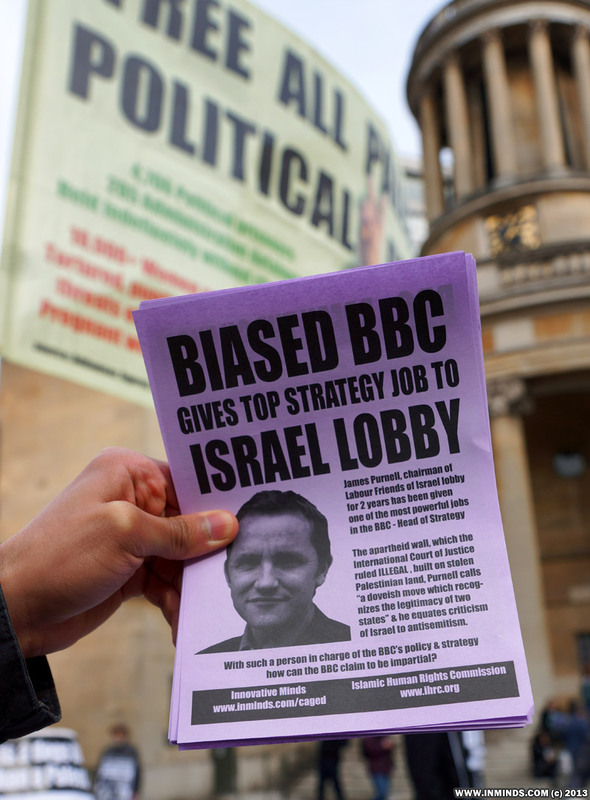 James Purnell's powerful position is one of the most highly paid jobs in the BBC with a salary of £295,000 per year, and yet there was no open selection process - no other candidates were considered or interviewed - it was a done deal, Israel's man gifted the position. 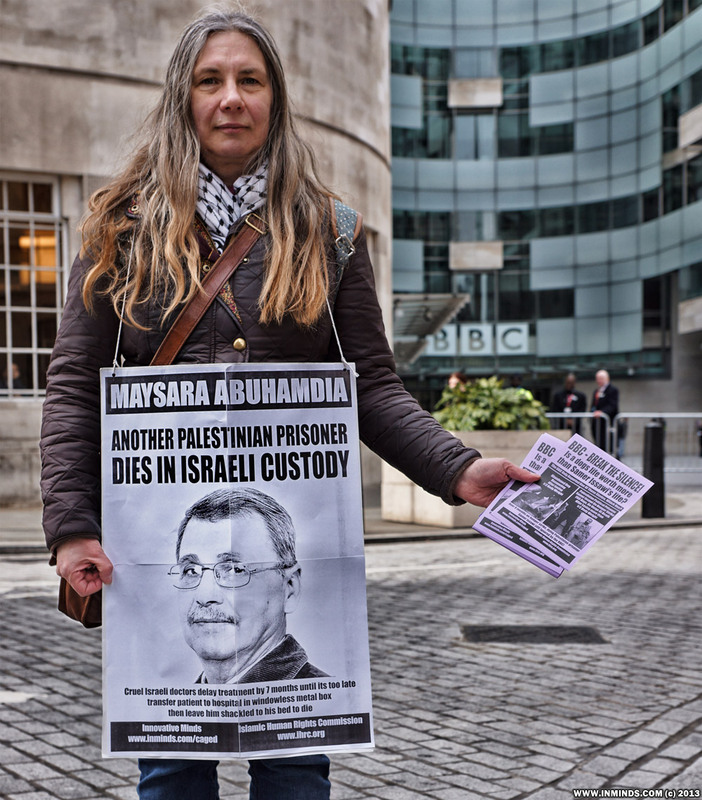 The martyr Maysara Abuhamdia died in Israeli custody on 2nd April 2013. 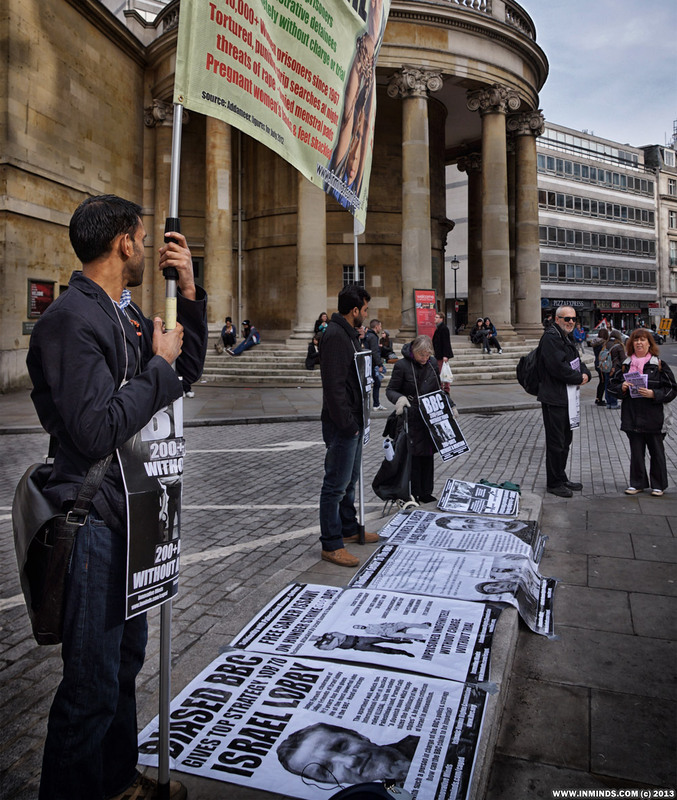 This being the first protest after his death, we showed our solidarity with him by carrying his placards. 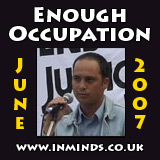 Maysara spent his entire life resisting the occupation of his land, in return in 2005 he was sentenced to 99 years in prison by the Israeli occupation forces. 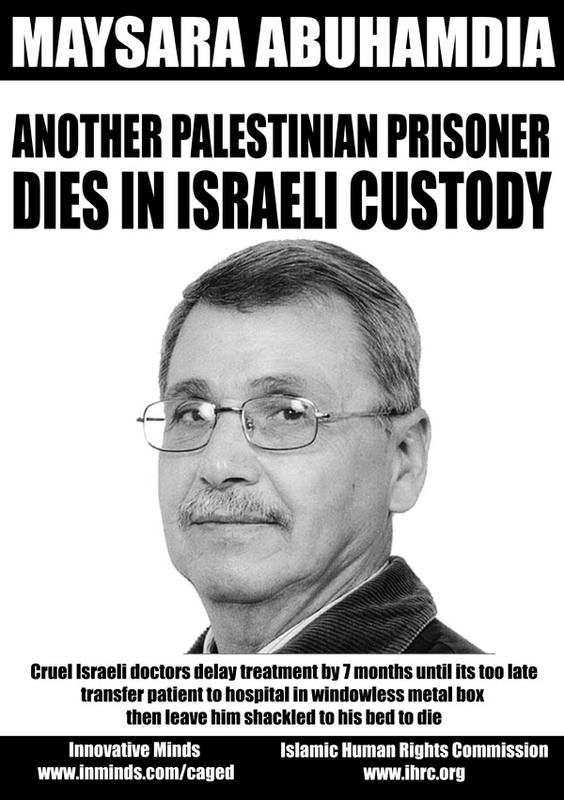 In prison, Israeli doctors cruelly delayed his treatment for cancer for 7 months until it was too late. They then transferred the dying patient to hospital in a windowless metal box van which has no seats - the patients are just thrown on the metal floor in the back where they stay shackled for the long journey. In hospital the doctors kept Maysara shackled to his bed where he died, photos of his dead body still show him shackled to the bed. 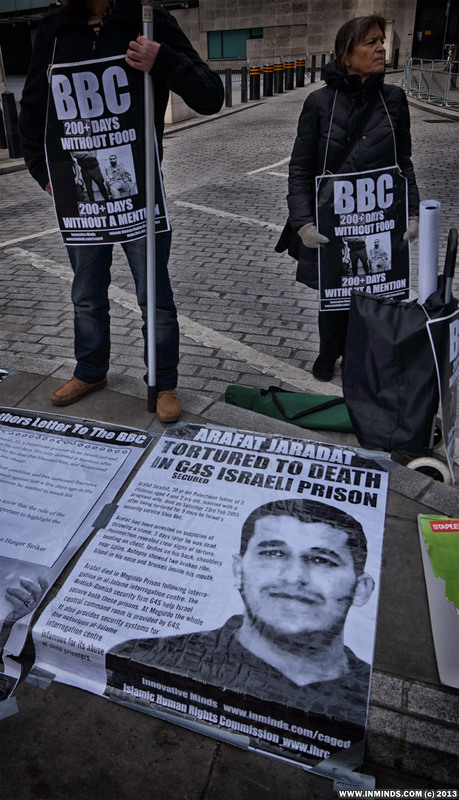 We also remembered Arafat Jaradat who was recently tortured to death in a G4S secured Israeli prison. The action was part of the Palestinian Prisoners Campaign launched by Innovative Minds (inminds.com) and the Islamic Human Rights Commission (ihrc.org) on Al-Quds Day 2012. 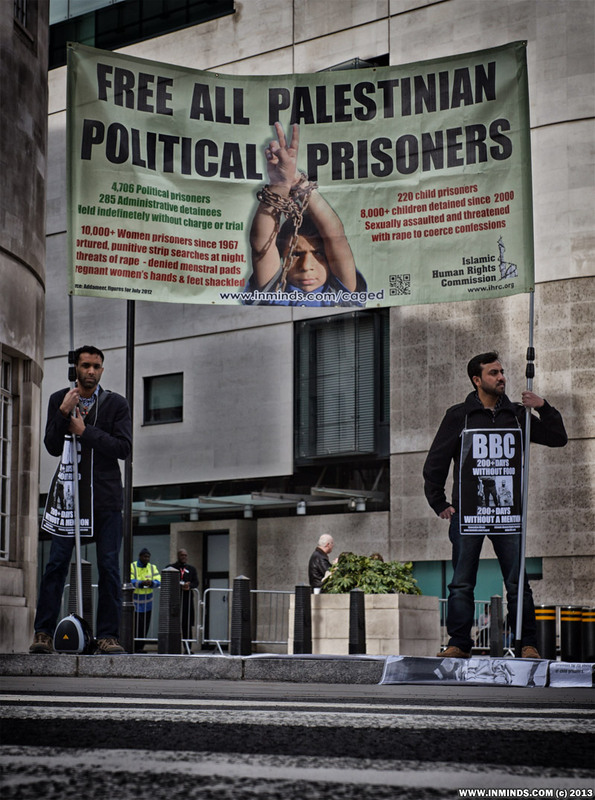 The campaign aims to raise awareness for the plight of Palestinian prisoners and build solidarity for their struggle and work towards their freedom. The latest information we have is that after 260 days on hunger strike Samer's heart is very weak, he is dying. It is imperative we focus the worlds attention on his struggle so that pressure is brought on Israel to release him without conditions. This means continuing the pressure on the BBC to cover his story. 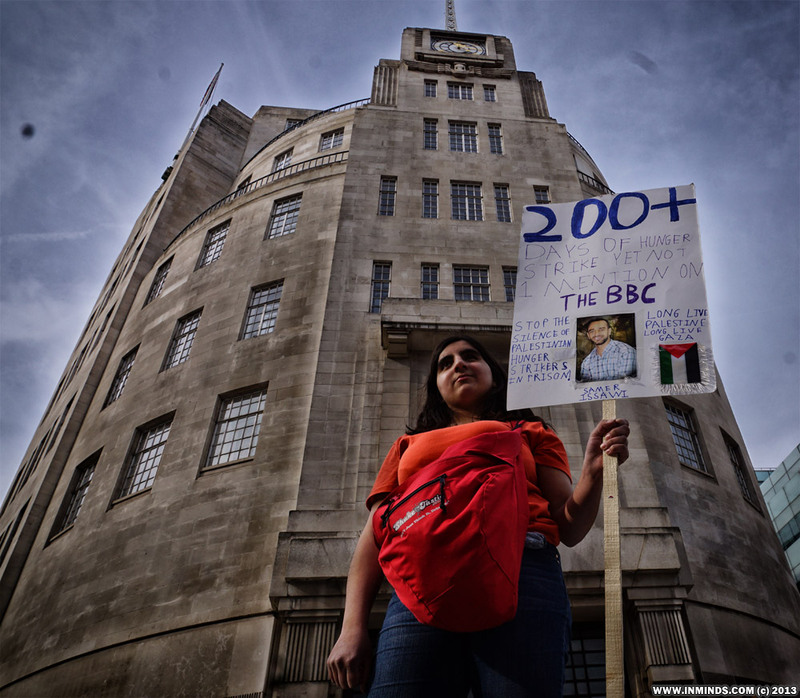 With this in mind we protested once more outside the BBC.. 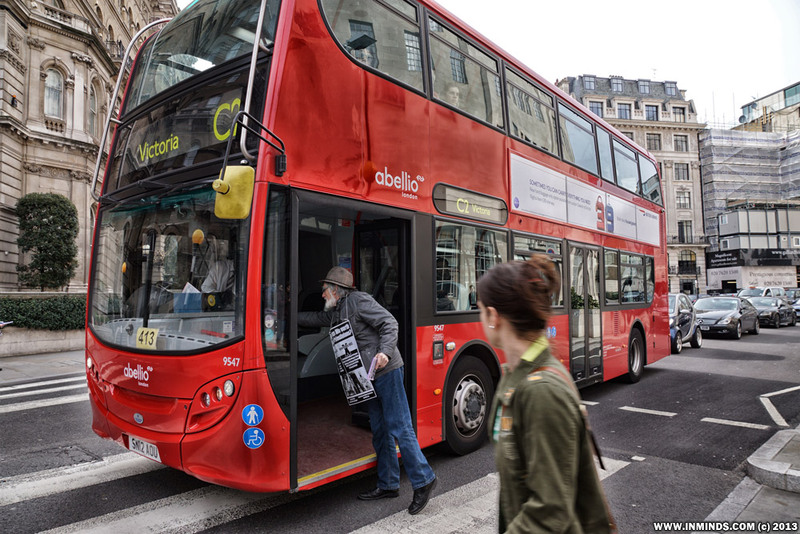 Bus stops for a leaflet! 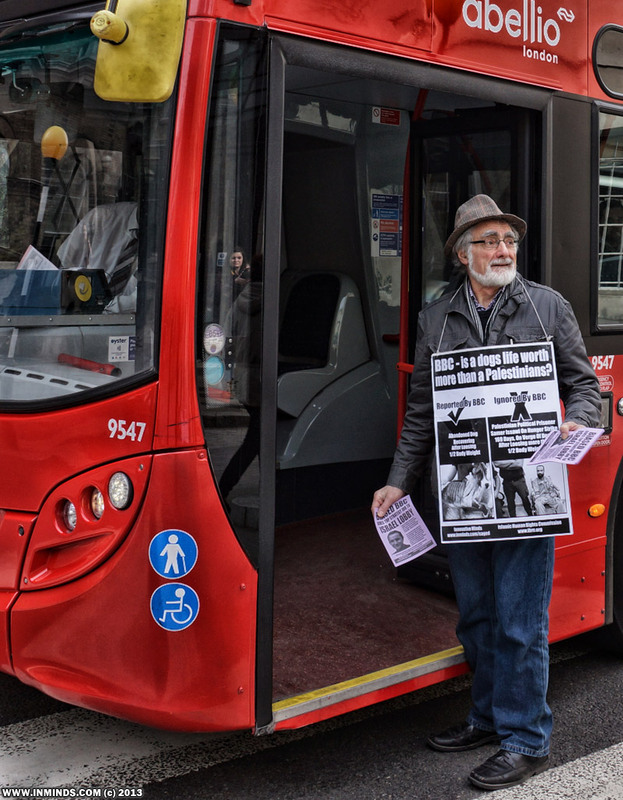 Bus driver asks for a leaflet - good on him! 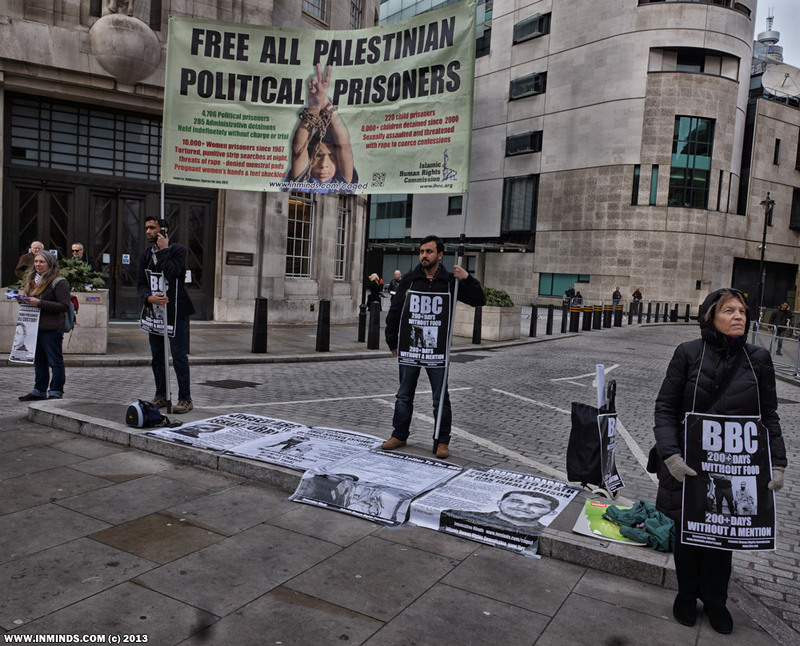 It was interesting to see the BBC are following our website and facebook page to learn when our protests are scheduled so that they can prepare for them by erecting barriers and a checkpoint some 100m from the entrance with access only for those with BBC ID cards. The barriers block a section of land which is meant to have a public right of way through it, especially needed for local residents wishing to get home. One resident actually came to complain to us that the BBC security are preventing her from going home! 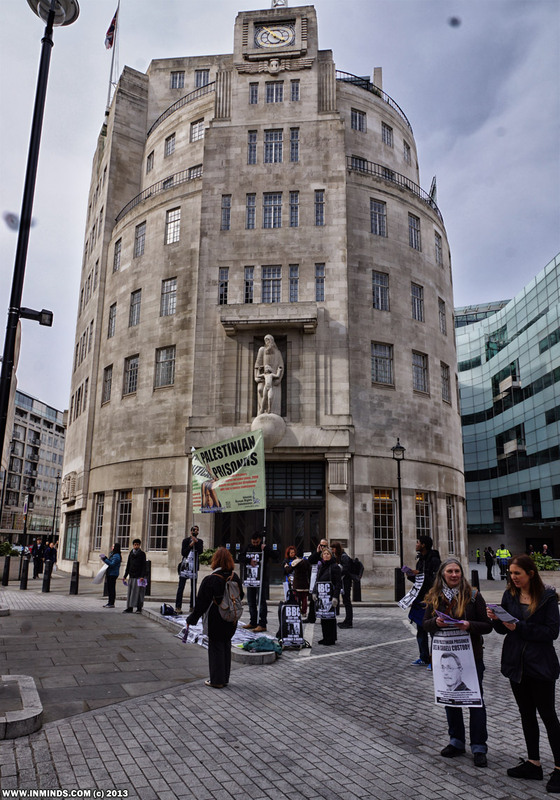 Needless to say all their efforts were wasted as we have to pick the busiest location for the protest to maximize our audience - and the BBC entrance, hardly used on a Sunday, hidden behind the BBC Radio Building is not it. Instead we choose the spot adjacent to the BBC building, opposite the zebra crossing serving the Langham Hotel, as the location for the protest. leaflets going like hot cakes! 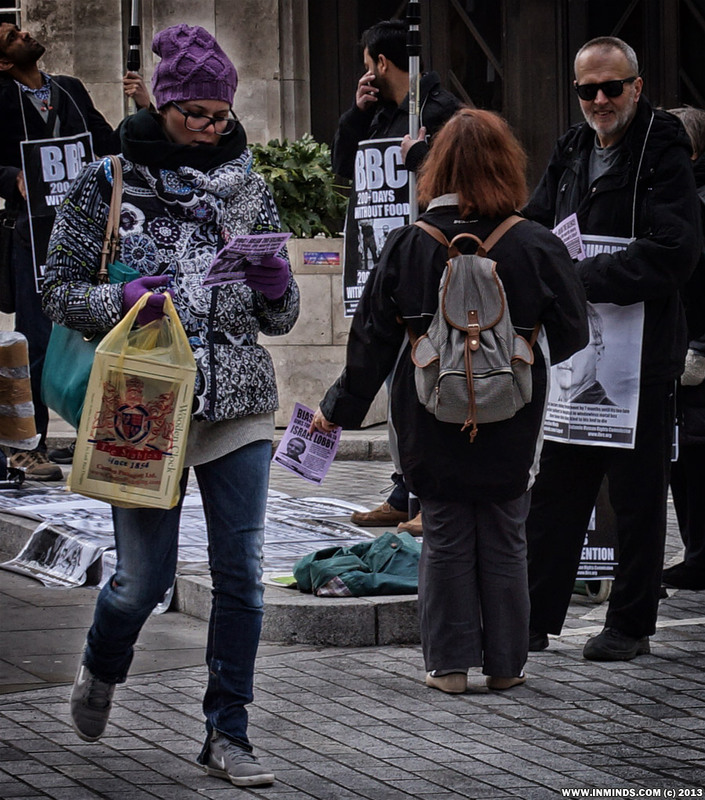 With so many people helping with leafleting we rushed through the supply of leaflets. 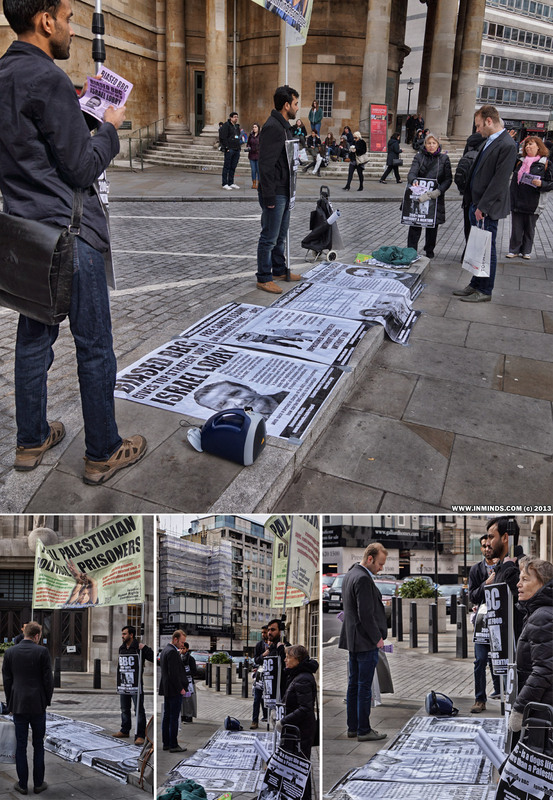 The response from the public was great, with Pro-Palestinian music playing in the background creating a wonderful atmosphere, many people took the time to read each one of our posters and chat to us asking for more information. It was a real indication that the corporate media aren't doing there job, people are eager to know the truth but the BBC isn't providing it. We only had one negative response, from an elderly Zionist who wasn't interested in anything we had to say but just kept chanting the usual zionist mantra of why were we picking on poor little Israel, the only democracy, what about Syria and Darfur, etc. Rather than confront him we just left him shouting, it seemed to help convince other passer-by's to our position..
People are eager to know the truth, they take the time to go to each poster in turn and read it carefully, to understand what is happening - something the BBC is failing to provide them. 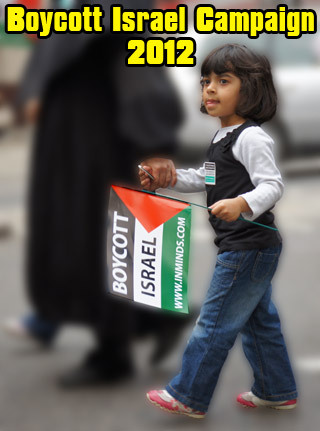 The next protest will be in commemoration of Palestinian Prisoners Day. We will be protesting outside G4S HQ in London on Friday 19th April from 4:30pm to 6:30pm, please join us.